Nested in the majestic mountains of Himachal Pradesh by the Beas river, Manali is a high-altitude Himalayan resort town famous for its adventurous treks amidst scenic locations that are undoubtedly one of the best in India. Manali is truly an adventurer's retreat at a height of around 2000 meters and offers a variety of exciting treks ranging from one-day treks to week ones that not only give you experience and strengthen your relationships with your group but also instil a feeling of physical wellness and spiritual well-being in oneself. Featuring narrow winding roads adorned with snow-covered pines and fir with a breath-taking backdrop of majestic snow-covered mountains and amazing weather that'll leave you awestruck, Manali is the go-to destination for all adventure buffs looking for a great trek in the country. Manali is located in the northern part of Kullu valley of Himachal Pradesh, the town is around 250 kilometres from Shimla and 547 kilometres from Delhi. The picturesque town is a delight in every season be it summer or winter and trekking is one of the best activities to engage in. The town serves as an escape from the scorching heat in summer and turns into snow-covered heaven in winter, here's a detailed rundown of the weather in Manali so you can plan your trip accordingly. Summer (March to June) - The town is predominantly cool in Summers experiencing temperatures ranging from 10° C to 26° C, this is the perfect time to go on trekking and other adventures as the weather is pleasant, the region's flora is blooming and you can truly enjoy the trek and experience the pristine natural beauty of the place. Monsoon (July to September) - This is the time you should avoid visiting the town as the region experiences heavy precipitation, which leads to landslides. But considering a lot of people avoid visiting Manali in monsoon the prices of accommodations tend to drop. Winters (October to March) - The winters get pretty cold here as the temperature ranges from -15° C and 12° C, winter sets in from October and by the time of December you can enjoy the spectacular snowfall and scenic view of the snow-covered mountains till march. One of the best activities for someone looking for an adventure in winter is skiing. Jogini waterfall trekking route is one of the best short treks near Manali and well liked amongst trekkers. With the altitude of 7243 feet, Jogini trek is 3km long over 4 hours. Entire route is scenic as one come across the apple plantations, water brooks and towering pine trees on the way to Vashisht temple. Marching over here would make you fall in love with local beauty and rural life in Himalayan villages. Also, 1-hour walk will take you to the base of the waterfall. To start for the same, one should begin Bahang village passing through the Vashisht Temple and concluding the trek downhill. All the beginners can start their journey of trekking from here. Trekking across Lamadugh will take you to untarnished Oak and Deodar forest, also coming across steep climbs to manoeuvre. Starting from Old Manali, Lamadugh trek is 3 hours long. As one starts off its trekking it would pass the Hadimba temple as soon as it covers half of it journey.It offers great views of Manali with a rock ledge which is the main aesthetic point on Lamadugh trek. The trail path of the trek lies on the Saurkundi Lake, as you trek back down, you'll be taken to old Manali to spend the night at your campsite which offers a comfort bed and sheer hospitality to the trekkers. Approximately with an altitude of 10,000 feet, trekking level is beginner. The journey of the one of the most beautiful short trek trails starts little ahead from Solang valley and leads to Dhundi. As one climbs higher you can set foot closer to the origin of River Beas. Beas Kund trail is full enormous trees with massive trunks as you go deeper into the trail it turns into fairy tale forest that we read about.As the height of the trek is approximately 12,000 ft, it takes 5-6 hours to complete trekking. Trek is suggested for both beginners and experienced trekkers as it is moderate level trek. Beas Kund trek offers a kick-start experience and the journey is filled with adventure and fun. With an altitude of 14,000 ft, Bhrigu Lake Trek is a high-altitude trek which is usually covered in three days. It is worth spending money as the trekkers do the trek to get to the famous lake. Due to its high altitude it is bit difficult to reach as compared to rest and need days to hike and cross the terrains, but once covered one will feel worth climbing for its picturesque view. 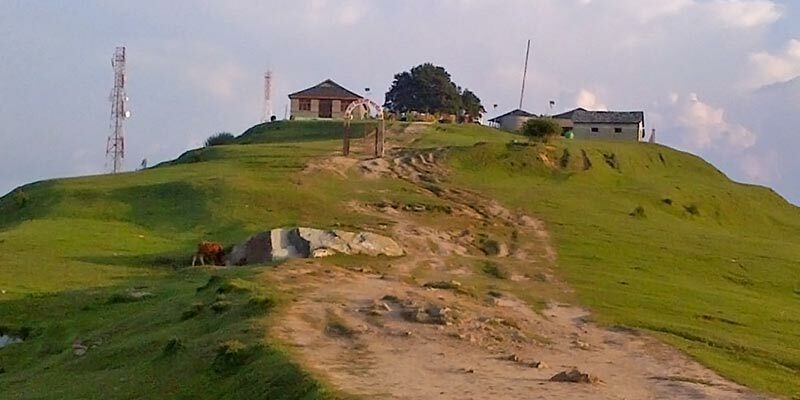 The natural extravaganza starts from Gulaba which offers breath-taking view of Himalayas, heading to open green lands, apple orchards and at last reaching to the base of the Bhrigu Lake. Hampta Pass trek is known for its easy and convenient trek. The ideal duration to cover this 14,100 ft altitude is four days while exposing oneself to the wild and marvellous mountain. Expedition starts right from Manali and takes tourists to delightful places like Chikka which is the first stop of excursion, moving to Hampta pass and concluding the journey to Chhatru. One can also while trekking across the lush green meadows, glacial valley and immense fields of oak and rhododendron can reserve an extra day to camp at Chandratal Lake. It is a perfect trek for nature lovers with a zeal to satiate adrenaline rush. One of the popular treks, Chandrakhani Pass trek covers amazing route with an amazing view of Pin Parvati, Pir Panjaland Deo Tibba range. The Chandrakhani Pass trek stretches to 3,660 m with narrow ridges and spurting streams making it adventurous for trekkers. It is prefect for anyone who has started trekking and want to experience it. Adventure begins from the village of Naggar, moving to the camping at Nayu Tapru and experiencing the beauty of pass and reaching the Chandrakhani Pass finally. It is one of such routes that can do both in summers and winters. The duration to cover such exquisite trail is six days. Located on the top Mathan hills, is the legendary Bijli Mahadev temple where the trekking ends. It’s a 2-day excursion which is of moderate type. The trek to the temple starts from the Kullu and has many other trails that leads to the temple. As every village stands on the slop of mountain, it has its own path up to the ridge. On the way trekkers come across dense forests of oak, deodar and pine just like others while giving splendid views of river Parvati and Beas. Though there’s a road that trekkers can take but the real charm lies in the interior of Kais Wildlife Sanctuary, if you begin from Naggar. With a maximum altitude of 14,698 ft, Deo Tibba base camp trek is also known as Chota Chandratal trek. Its a treat to the eyes as it takes trekkers through silver birch, scented junipers, meadows and rhododendrons as the trail is blessed with flora and fauna. Also, as itsmoderate level trek it is ideal one for both the expert and amateur trekkers. There are various remote villages and valleys like Panduropa, Sethan, Hampta pass, Chhika, to name a few that’ll take you to the Base camp where usually the 6 days long trekking ends. Deo Tibba trek also brings onlookers to the gazing pastures of the Gaddi Shephards with its peak and huge hanging glaciers. 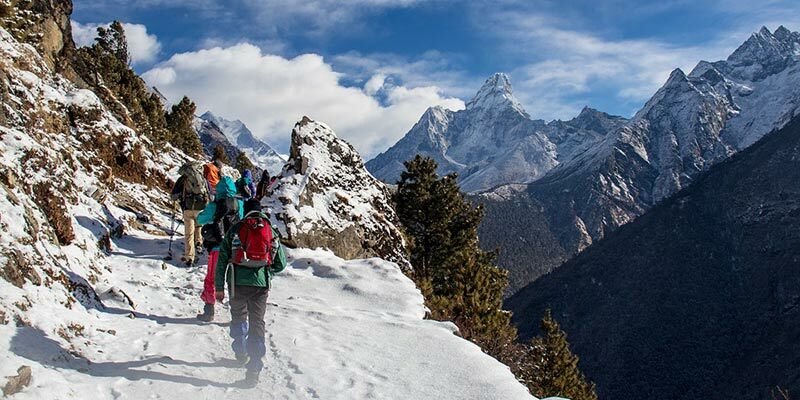 If one wants to get the best out of their trek in Manali, the best time would be to plan a trek in between March and June when the summer starts to creep in and turns Manali in a perfect place to indulge in adventurous outdoor activities. At this time of year, the roads are in good condition, the weather is also very pleasant and not unbearable like in winters and you are welcomed with warm sunlight which you can enjoy while watching the sunrise on top of majestic mountains that is truly a captivating sight. If you plan a trek during the spring season you can sight beautiful flora and fauna during the trek. It is not advisable to plan a trek in winters or Monsoon as you may come across many problems such as Landslides due to heavy rain, wild river flow in monsoon and unbearable low temperatures and roadblocks due to snowfall in winters. Manali is 570 kilometres from Delhi, and there are plenty of buses connecting Manali with Delhi, Leh, and Dharamsala. Ticket reservations can be made on the Himachal tourism office or Interstate bus terminus in Delhi. You can book your tickets online too on the Himachal tourism portal. The journey is of around 14 hours from Delhi, 10 hours from Ambala, 8 hours from Chandigarh and 1.5-3 hours from Kulu. Volvo buses are one of the best options in terms of comfort and value for money. The most popular timing they ply on is departure from Delhi between 17:00 and 19:00 and arrival in Manali between 08:00 and 10:00 the next day. Before booking the tickets make sure that the Volvo is not included in your hotel package as some hotels include sightseeing and Volvo booking in their travel packages. Pro tip - Book seats on the right side of the bus to enjoy a better view of the stunning Beas river and the valley. The nearest railhead is Ambala Cantt (200kilometres from Delhi) and Chandigarh (250kilometres from Delhi), One needs to hire a taxi or a bus from Ambala to reach Manali. Before going for this option make sure the driver has adequate experience in driving in the hilly area, knows all the routes thoroughly, has made a trip at least once, and is comfortable driving for long hours on challenging roads. The driver will need to drive almost 6 hours on a hilly area. If you start from Chandigarh the total drive is about 8-9 hours, 12 hours from Delhi and 8-9 hours from Ambala. One can try Meru.in or Mediatravelz.com for the taxi as they're the most trusted ones. Bhuntar(Kullu) Airport is the nearest airport from Manali, around 50 kilometres and 10 kilometres from Kullu, which is a 2-hour drive to Manali. Though flights to Kullu from Delhi, the service can be irregular with high fares. Himalaya Bulls offers a flight from Chandigarh to Kullu airport which you can book directly from their website. One can take a taxi from the airport to Manali which costs a minimum of 1200 or a frequent public bus which costs around 35 bucks. Q. Is there any particular age limit for trekking? Children below the age for 9 years aren’t permitted. However, minors aged between 9-17 years are advised to be accompanied with their parents or guardians. Also, all the senior citizens, age of 60 years or above, are requested to carry a medical certificate saying that the individual is fit for adventure activities like trekking. Q. Is it possible to do a trek without any trek organizers help? Yes, it is possible to organise a trek without any help but not unless you’re well-trained and experienced of all the difficulties or without fully understanding the temperature and/or the ground realities, because the trail might be precarious. In case you aren’t comfortable about the organisers, you can also reach to ABVMAS Manali as they too conduct individual trekking. Q. Does one need to be extremely fit in order to trek? There’s nothing as such like being fit. All trekking requires is one to be reasonably healthy and have liking towards it with your backpacks on. This basic fitness can be achieved by 15 minutes of moderate exercise on daily basis. That’s all! This basic fitness would also mean that you’ll enjoy your trek more. The effects of altitude can happen to anyone, and not necessarily related to how fit you are. The way out to avoiding sickness is not to over-do it. The effects of altitude are mostly likely to come on once you’re higher than 3000 metres, and once you’re at that height it’s not wise to ascend more than 300-400 metres per day. Sometimes which will mean short walking days of solely a couple of hours, however if it means that you don’t ascend too high, too quickly, this is necessary. Q. Will there be any mobile network available on the trek? Generally, there aren’t any networks available on treks as these are elevated and are far away from human habitation/disturbance. But there are few where you might get network, so you can consider few exceptions. Q. What happens in case of emergency? All the trekking organisations are prepared for any emergency situation and knows how to handle. Their guides are trained in first aid and can deal with most of the basic ailments that might occur during trek. Also, every client must carry their own first aid kits. To make your Trip memorable and safe, one should pack some essential gear and equipment for the trek. 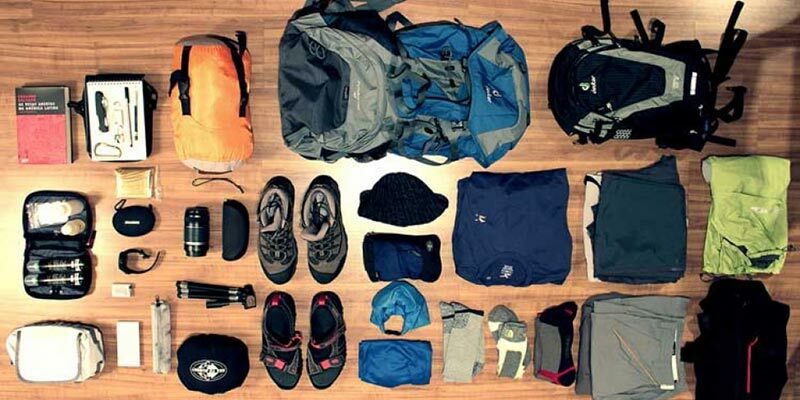 Here’s a list of things you should definitely pack for the trek. Trekking Shoes - These are one of the most important things one needs on a trek as they provide more grip on the rugged tracks and prevent ankle twists and other injuries. one should start using the shoes 3-4 days before the trek to avoid shoe bites and always wear a size bigger than yours. Sandal or Slippers for walking on the campsite. Don't forget to carry your important documents in a waterproof bag such as IDs, Some phone numbers and some extra cash in case of emergency.